Neil Mitchell V RBS – Gaining momentum! In the last 24 hrs since Neil appeared for his 3rd interview on Russia Today RT: Keiser Report… this time literally hundreds & hundreds & hundreds of people have contacted him by all forms of social media / technologies across the UK & globally…the Power of Social media in a just cause ! People are even offering donations & suggesting Crowdfunding globally to help me fund a battle against RBS & HM Treasury. We somehow have to harness the will of this sample / cross section of people / activists to object / revolt / vote against Bank Fraud & Political Inaction. We don’t want to enter Politics, just focus this people / tax payer / voter “Movement” in calling RBS to account for Criminality. RBS are currently threatening Libel actions, Court Injunctions & Summary Judgements against Tweeters. Neil doesn’t care – it is all factually correct – Bring it On ! – he looks forward to the Appeal Court when he can explain to the Judge, in the public interest, in front of the assembled media, what RBS have been doing against the interests of the people / taxpayers – interestingly he has had no contact from RBS. 1) Total Respect to Neil Mitchell to not only standing his ground but putting everything he owns on the line for justice and something he believes in. The .gov’s job is to keep organizations like RBS in line not to support them and wipe small companies out, standing up to such a powerful bank must be very tough. Small businesses are the backbone of any economy and for all the media organizations apart from Max and Stacy to completely ignore the destruction of this important area of commercial production and employment sums up just how sold out and in the pockets of the big banksters those in charge really are. SAMPLE of literally hundreds & hundreds of positive comments across Social media from all over the world and I have not been attacked / trolled once. 2) – The Keiser Report is always great when Neil Mitchel is on grassing up RBS. Why Scotland was even worried about them leaving beats me. – Really like the way Neil Mitchell cuts the crap and gets right to the point! – The public need people like you to stand up to this sort of behaviour in all walks of life. – Thank you Neil Mitchel for what your doing. This is what we all need to be doing. Payback for these predatory Financial monsters causing misery among our communities. 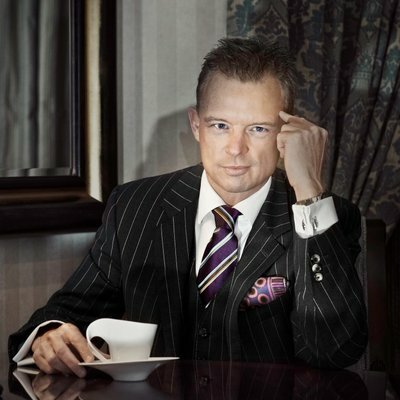 – Watched you on Max Keiser Neil, A man on a mission, good luck in your ongoing quest for justice,you are inspiring! – We would love to take RBS down – we will never get any £££sss back, of course… let’s destroy it! You are a hero @RNW_MITCHELL. After watching you with @maxkeiser genuinely fear for your life as prosecution gets closer. Just watched your interview with @maxkeiser. Great work and good luck. I have seen you on Kaiser report a few times now, and think well of you. Paypal , Swift or something. to give a win to the people. You don’t have to do all the heavy lifting yourself !! 3) Hey, get to see Tower Bridge opening and letting a tall ship through whilst Neil Mitchell is on. 4) Why don’t we all focus on one thing and contribute towards the ONLY Criminal action being taken against banksters? Well here it is folks! This is IT ! Let’s make it happen! ← Clive May and RBS update – Farcical!